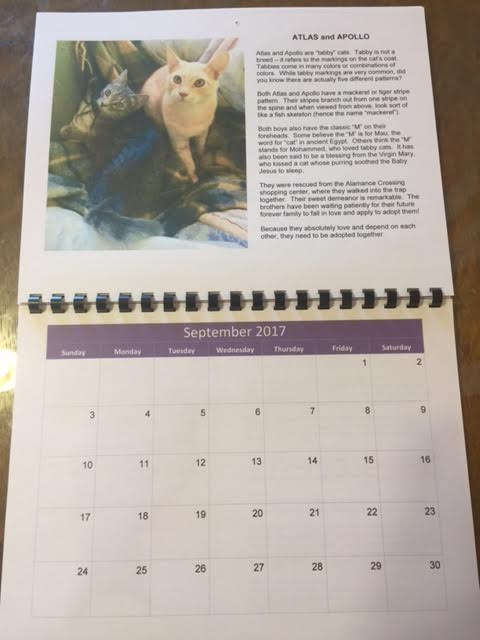 Our 2017 calendars feature 12 Sparkle Cat Rescue kitties who at the time of printing were available for adoption. 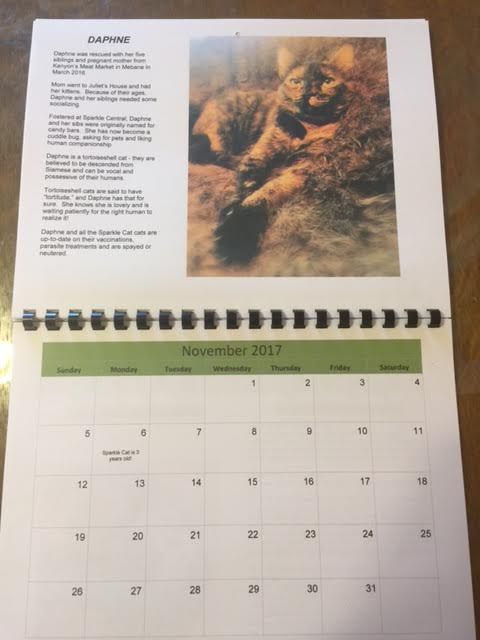 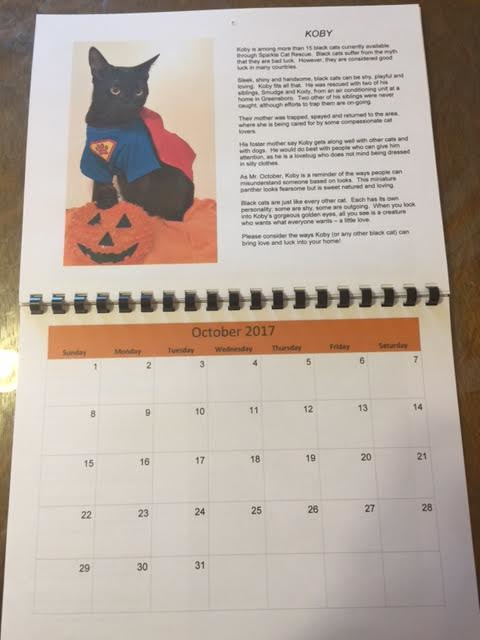 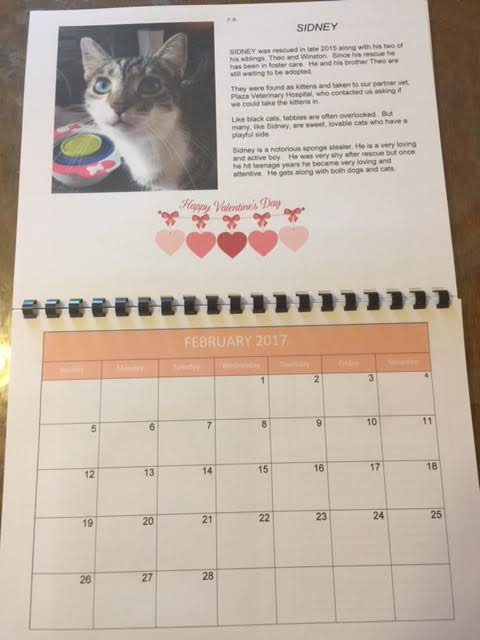 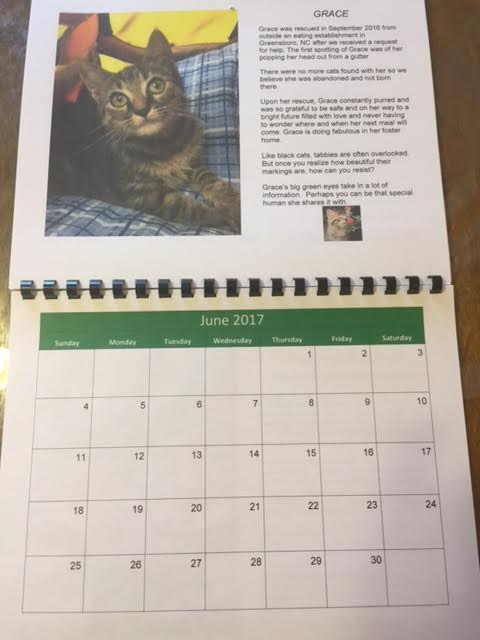 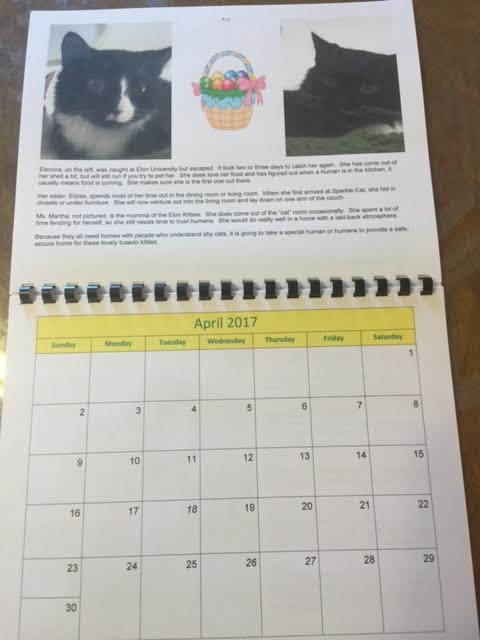 Order your calendar(s) today for a unique gift to a cat-lover, or a gift for yourself! 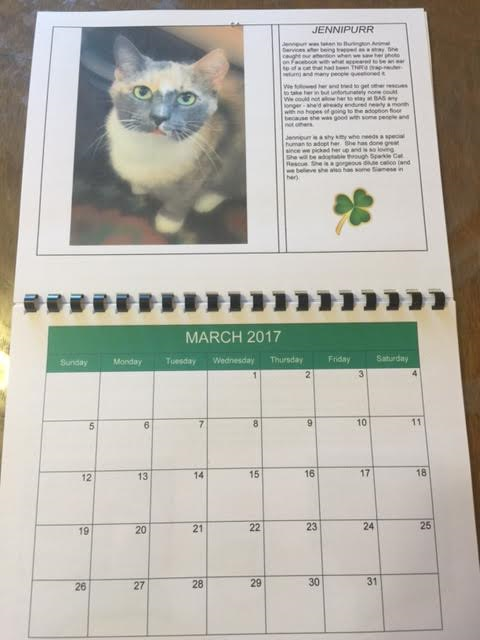 ​We would like to thank our volunteer, Catherine, for designing our calendars, as well as printing and binding them! 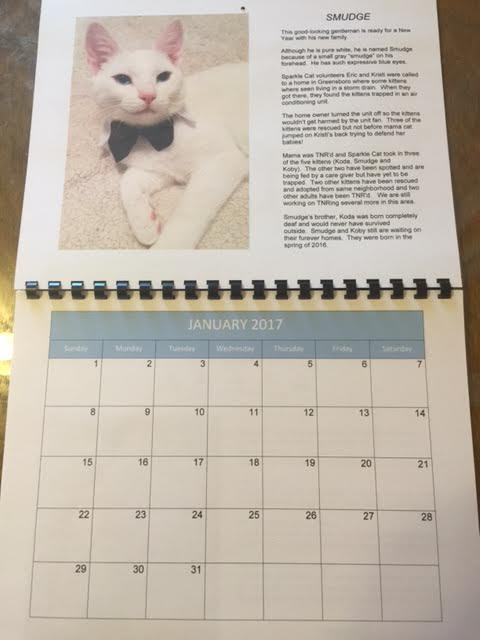 The calendars are printed on card stock paper and hole punched for hanging. 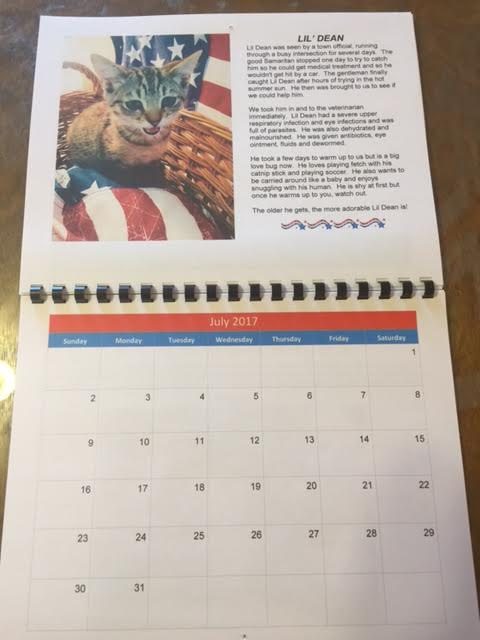 If you opt to pick up your calendar locally in Burlington, NC, we will contact you to arrange a pickup date and time once we receive your order. 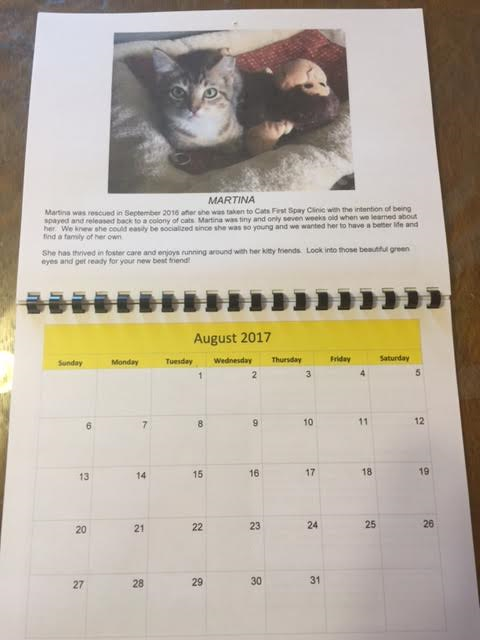 Unless you have paid the $3.50 packaging/shipping charge, we will assume you want local pickup. 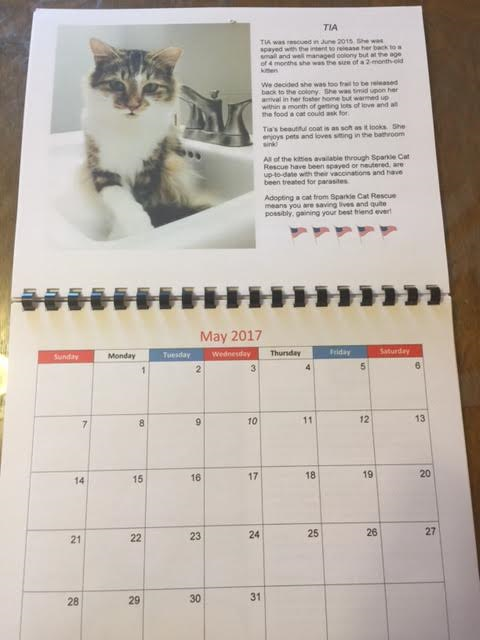 ​To place your order, please select the appropriate payment link below to be directed to PayPal. 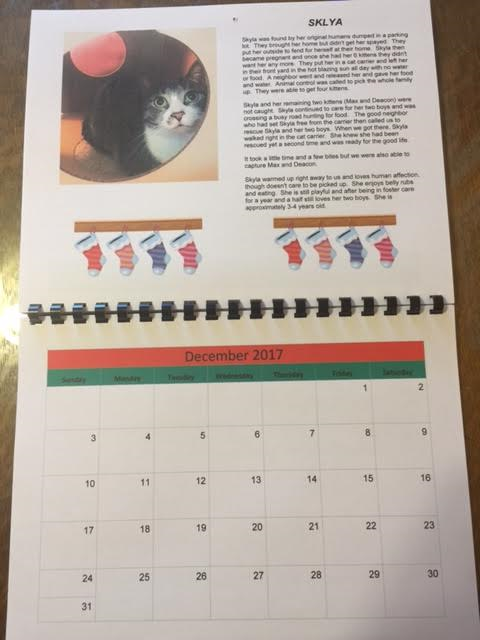 If you do not have a PayPal account, please select the PayPal Guest Checkout option, and pay with any major credit card (MasterCard, Visa, Discover, American Express). 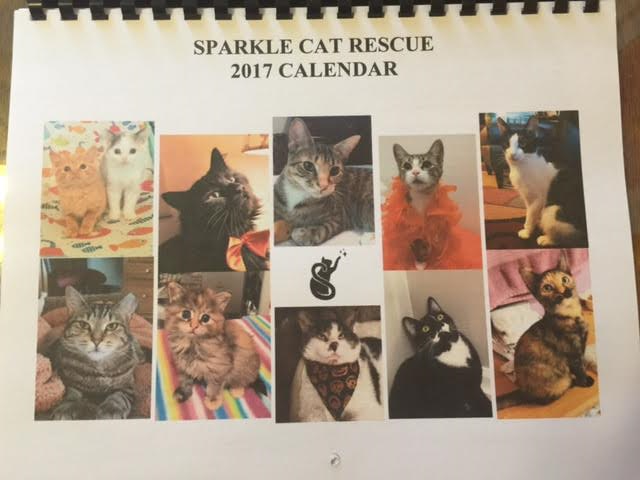 ​Contact us at sparklecatrescue@gmail.com with any questions.